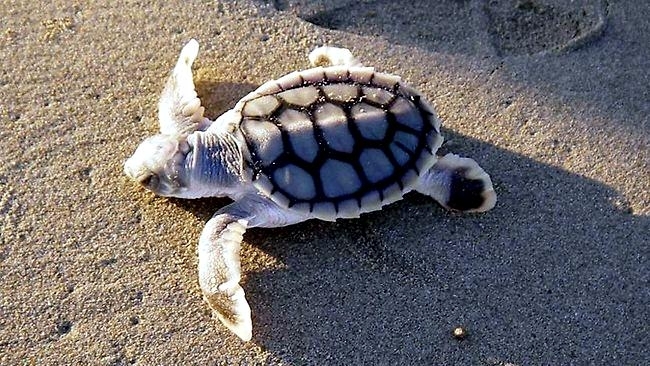 The Flatback Sea Turtle is named after its flat carapace or shell, which is unlike the curved shell of other sea turtle species. 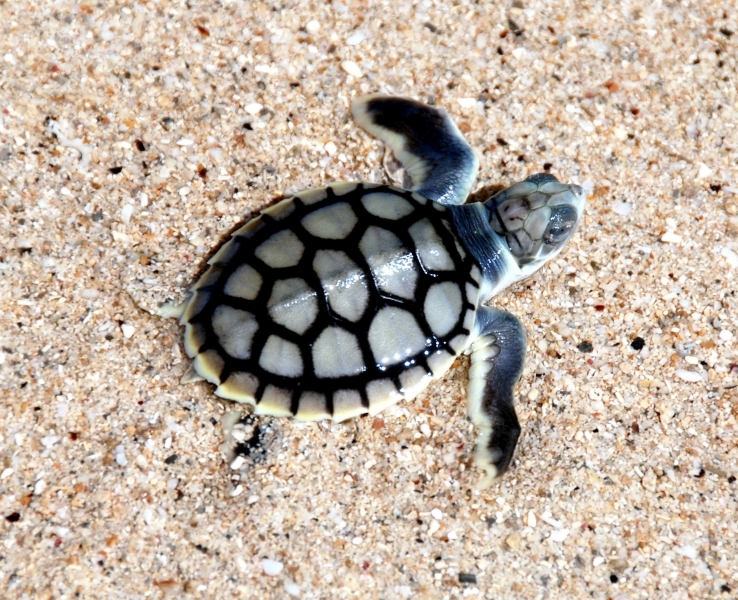 The carapace is pale grayish-green in color with the outer margins distinctly upturned. 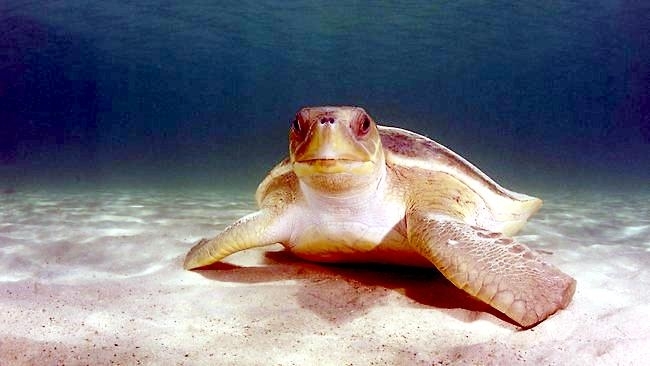 An adult Flatback Sea Turtle weighs 200 pounds and is approximately 3 feet in length. 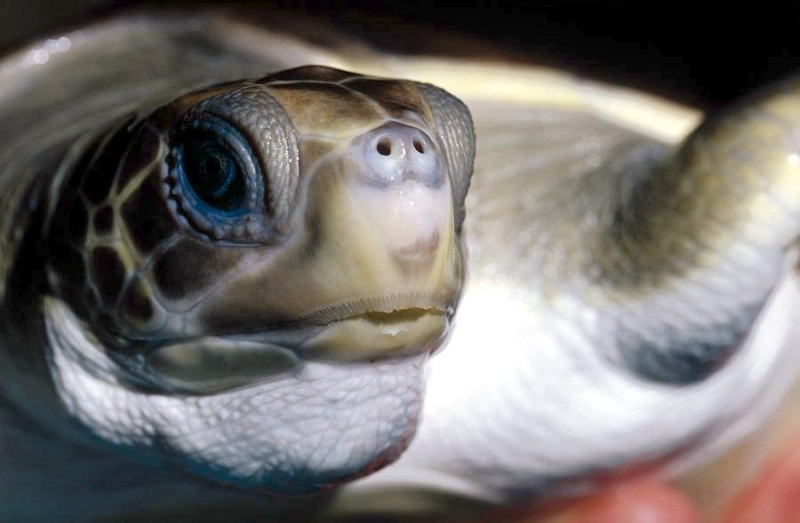 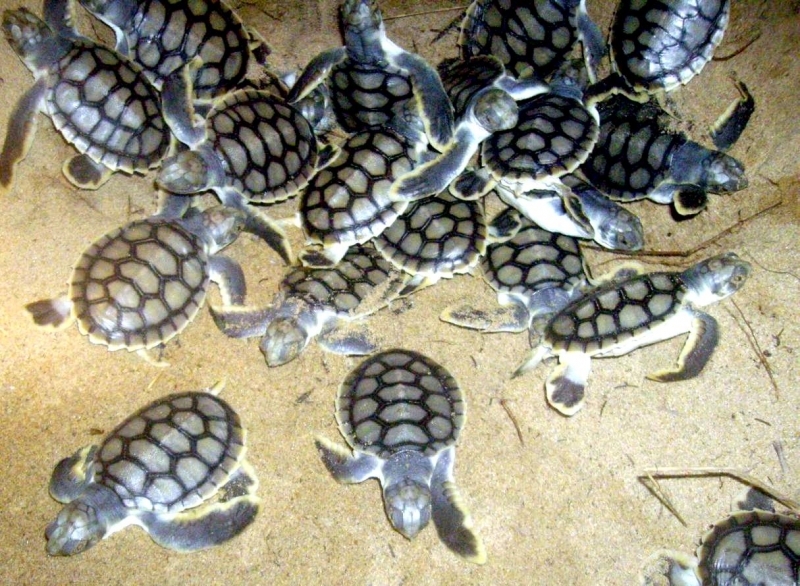 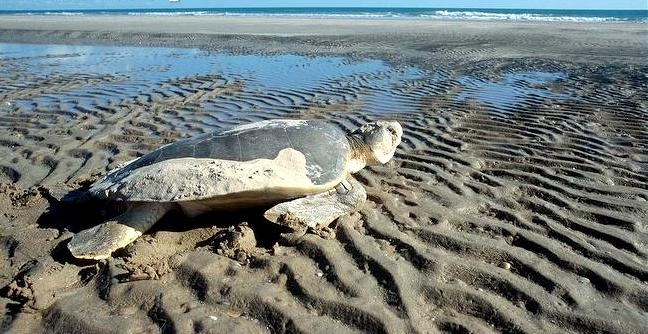 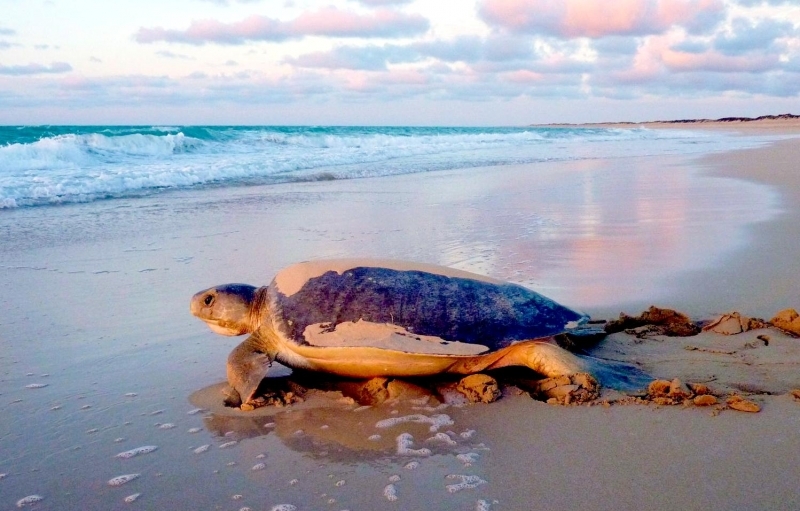 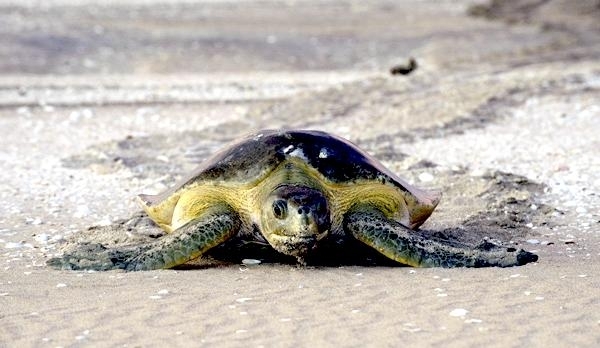 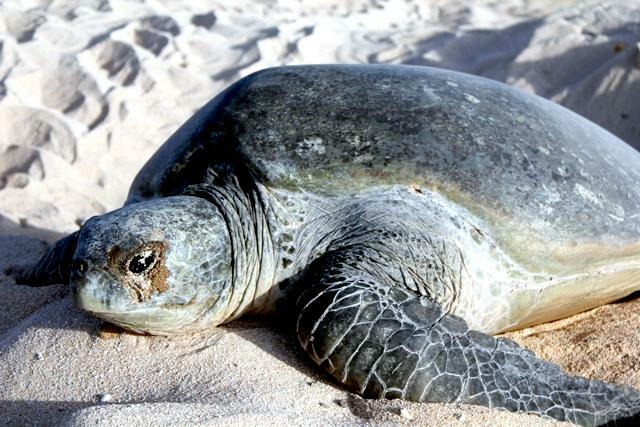 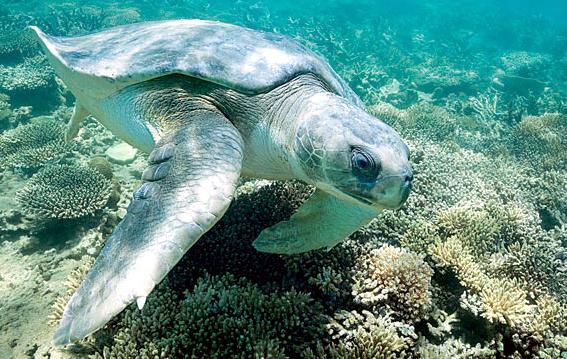 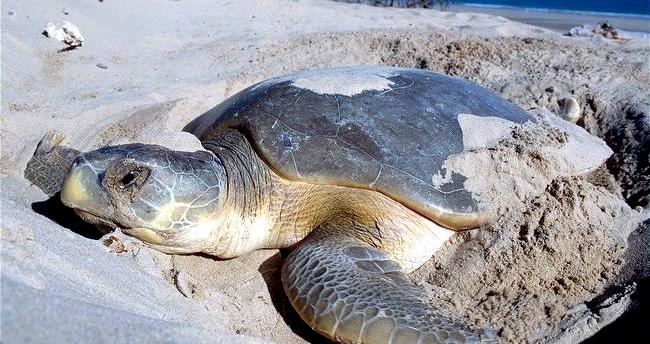 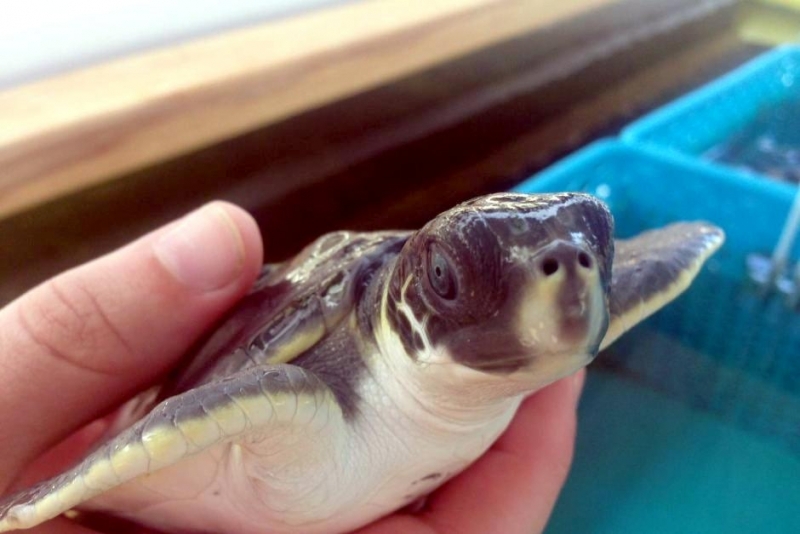 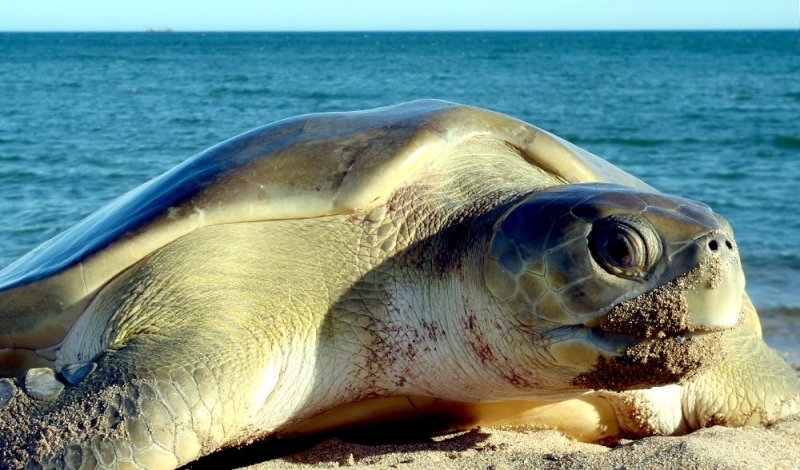 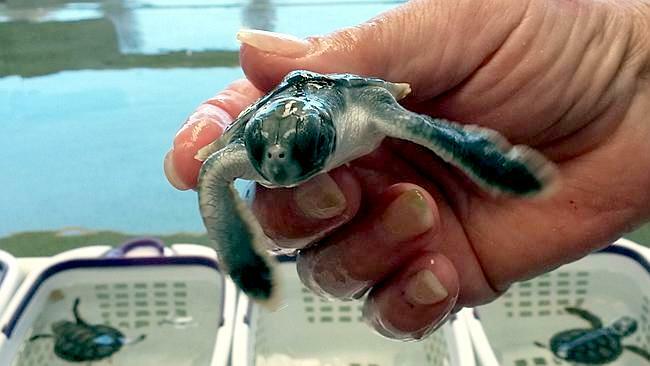 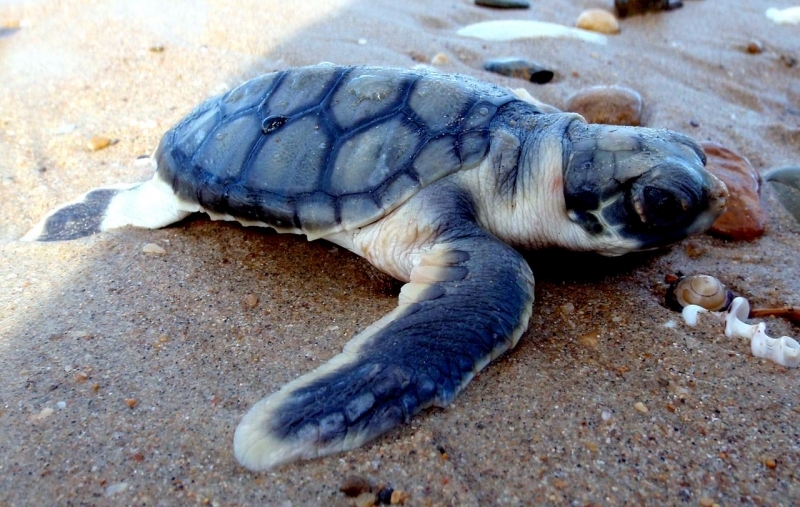 They have the smallest distribution of all the sea turtle species and breed & nest only in Australia. 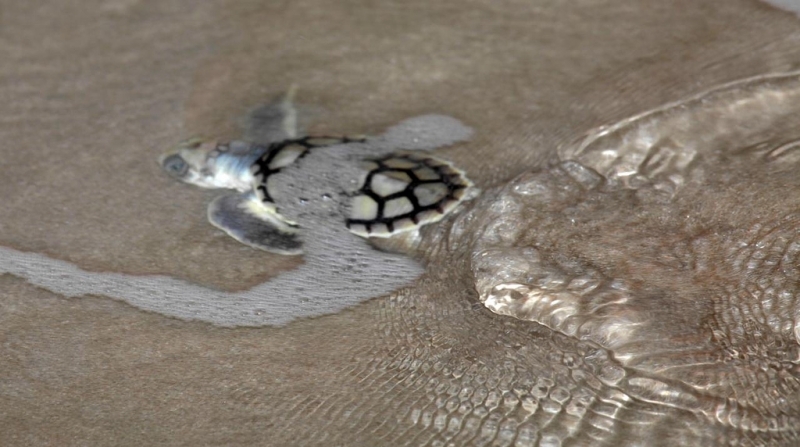 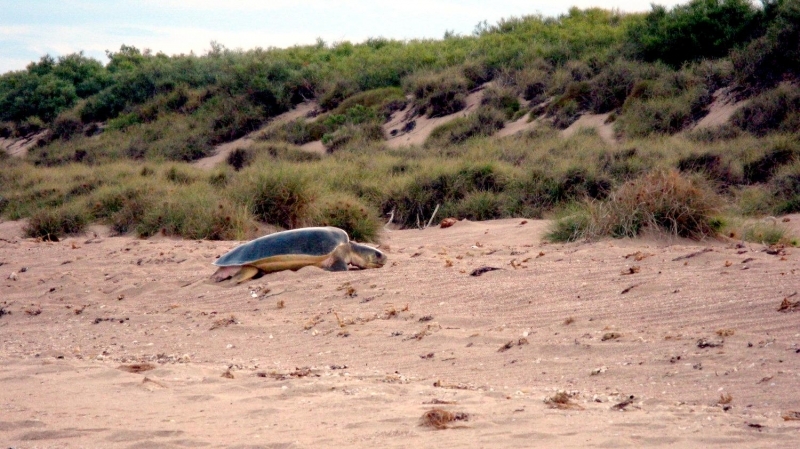 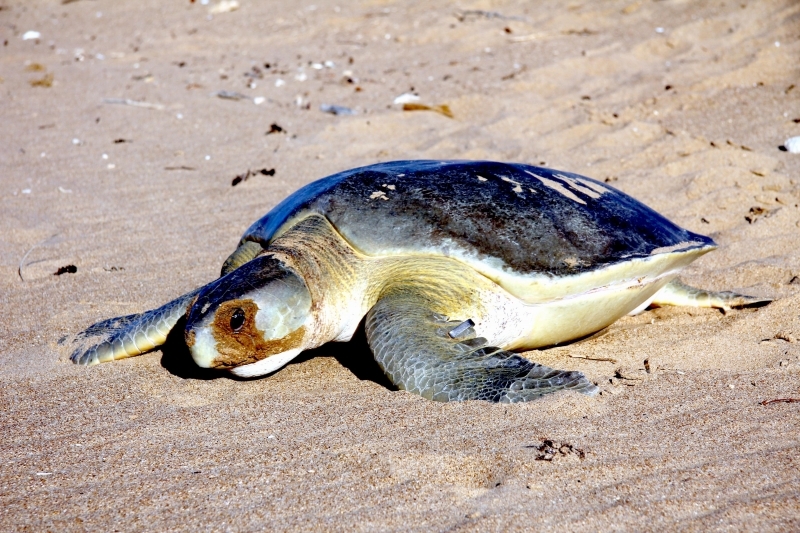 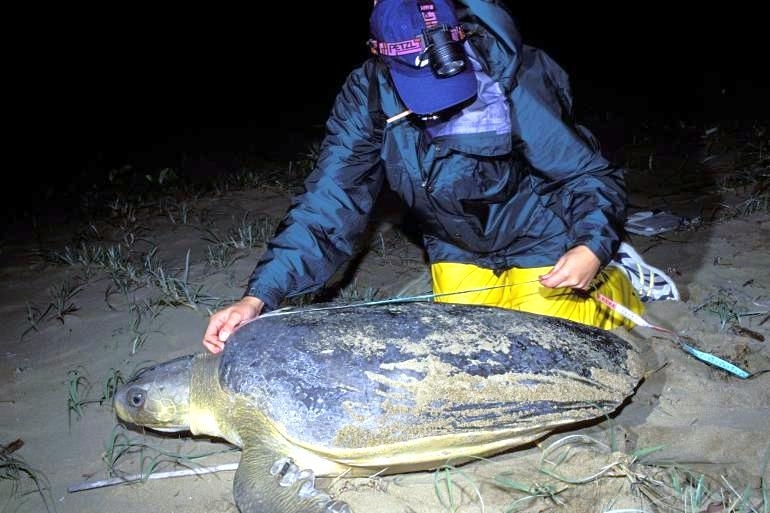 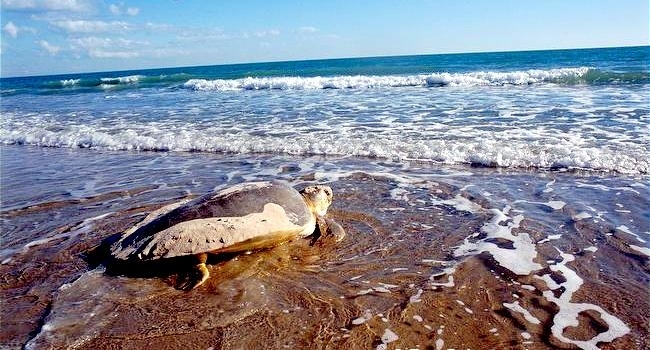 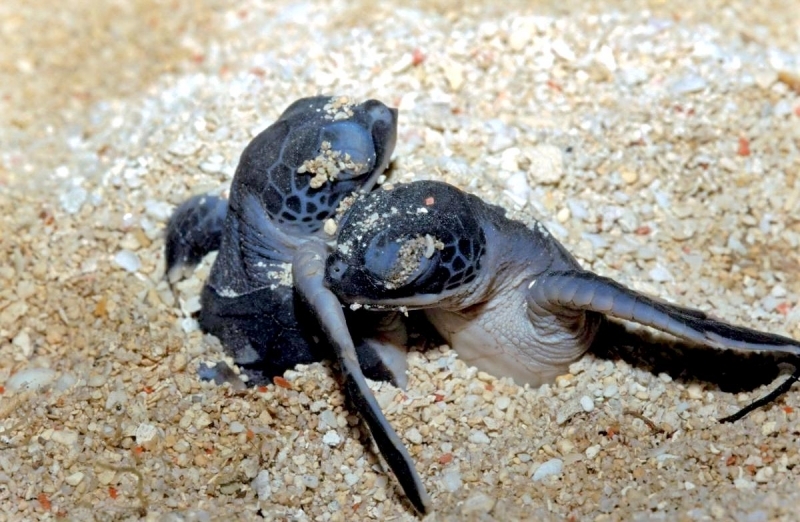 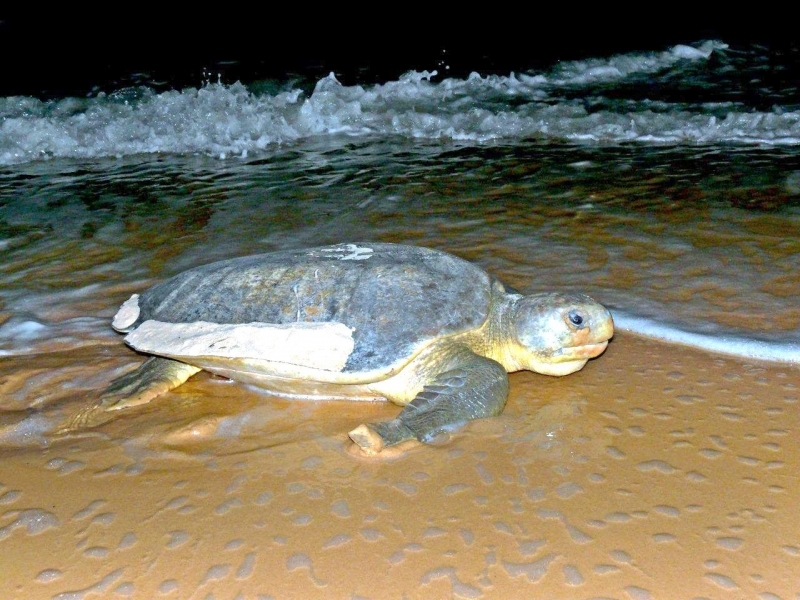 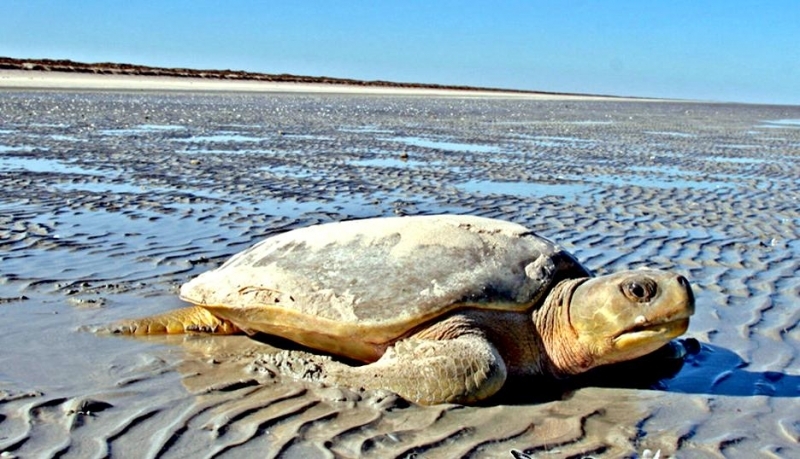 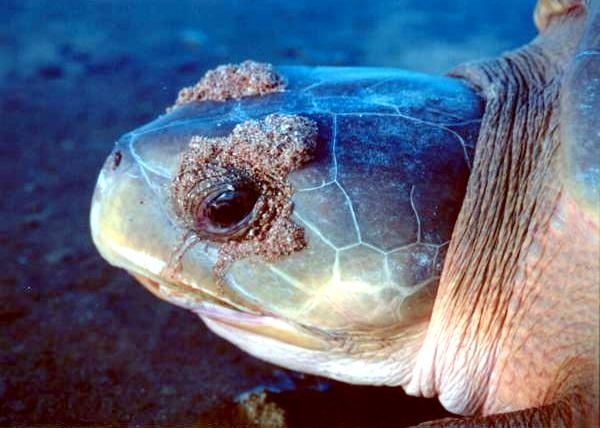 Flatback Sea Turtles are preyed upon by Saltwater Crocodiles. 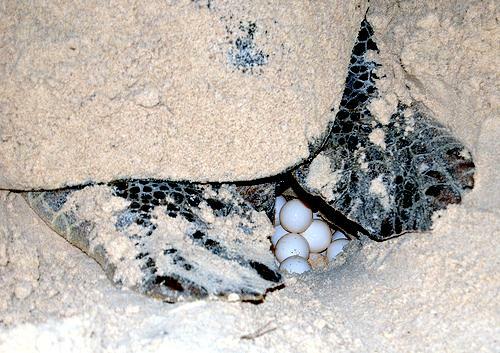 Adult females have been observed being attacked by Saltwater Crocodiles while attempting to nest. 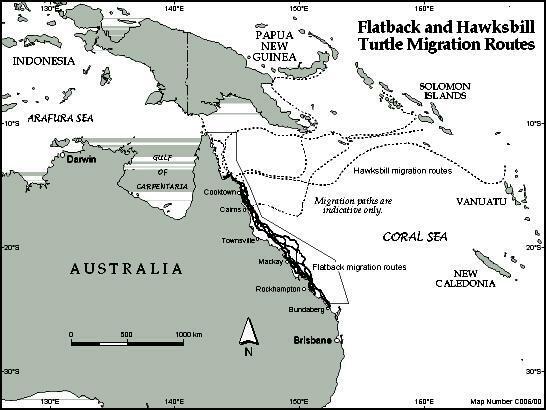 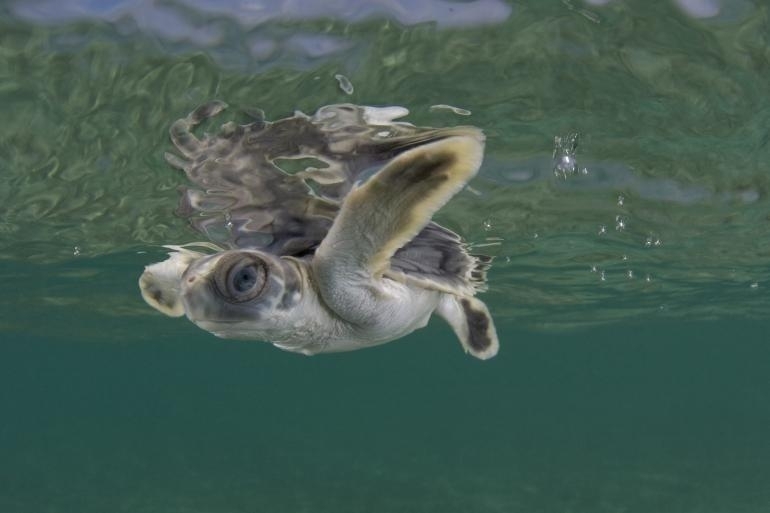 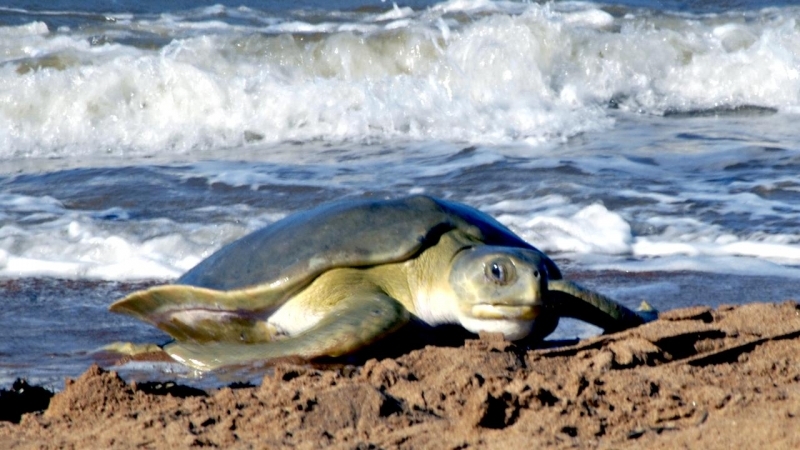 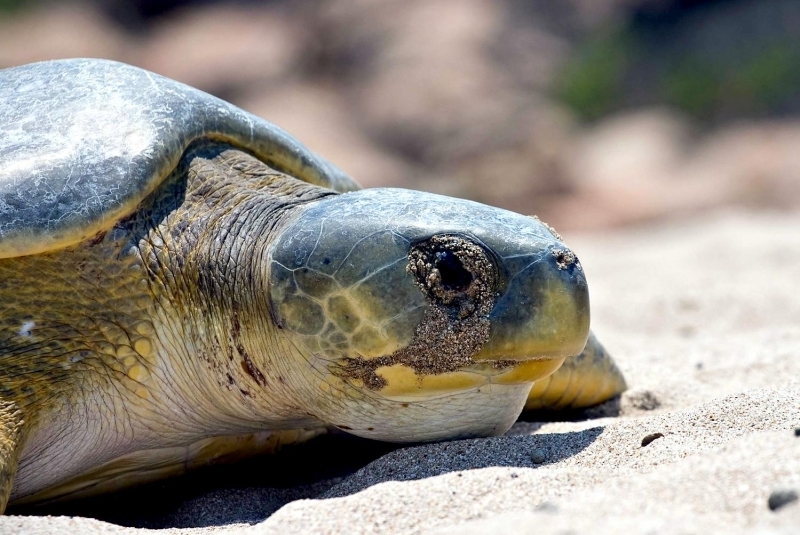 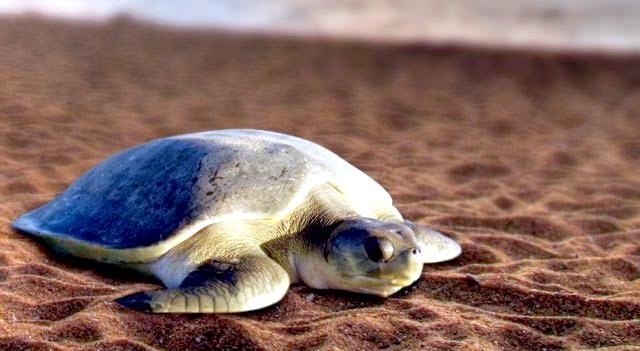 Despite its small range & non-migratory behavior, until now this has been the least studied of the sea turtle species, perhaps due in part to the remoteness of much of their habitat. 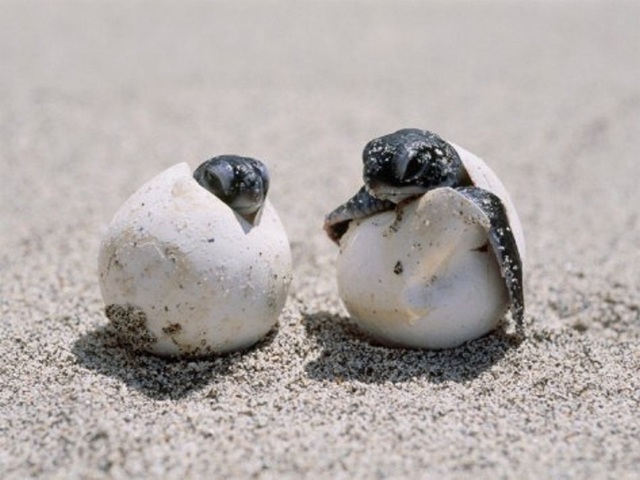 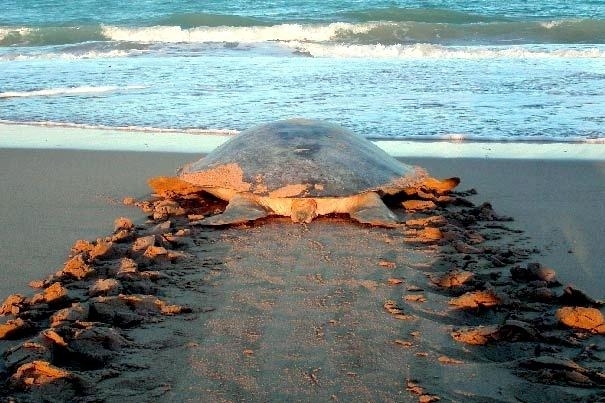 In comparison to other sea turtle species that lay 100-200 eggs per nest, the Flatback Sea Turtle lays an average of 50 per nest. 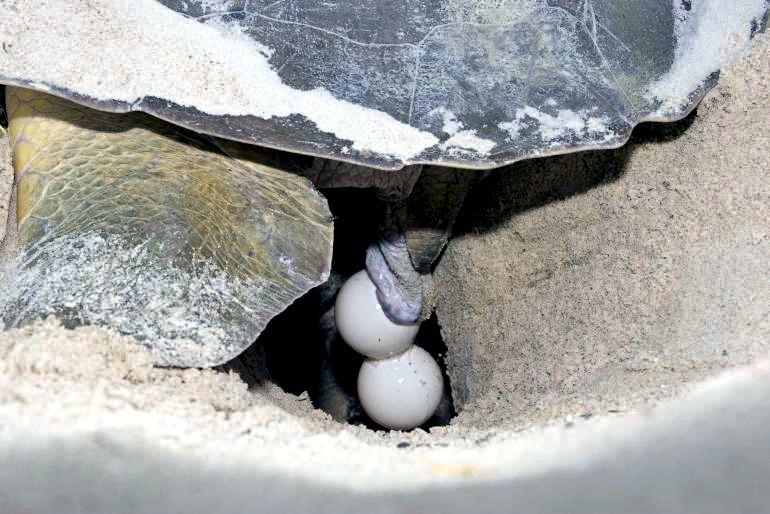 Their eggs & hatchlings however, are proportionally larger than other species which may aid hatchlings in evading predators. 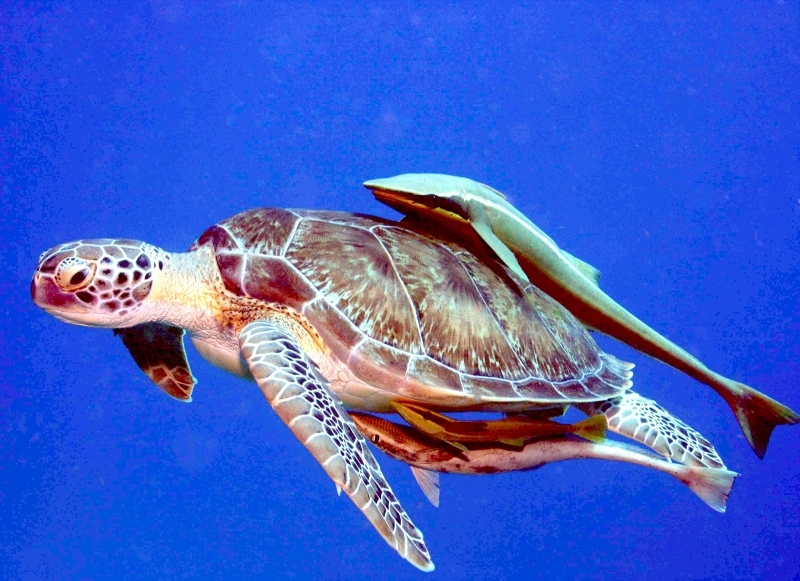 The Flatback is an omnivore, feeding on a variety of prey including sea cucumbers, sea jellies, soft corals, shrimp, crabs, mollusks, fish and seaweed. 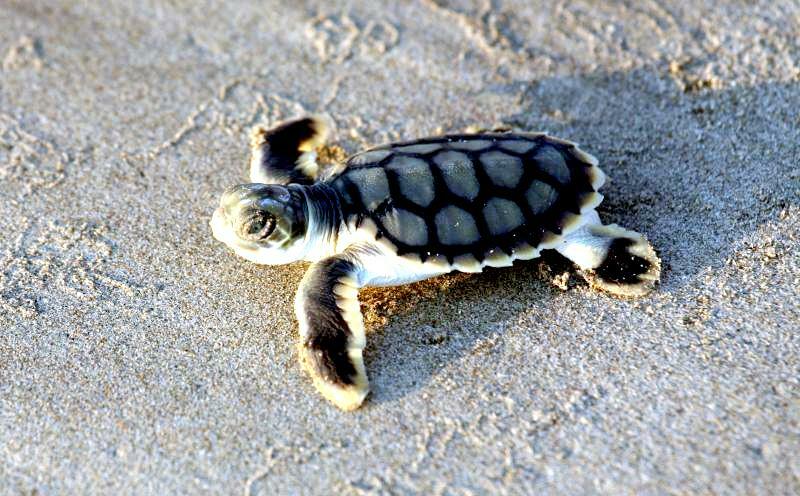 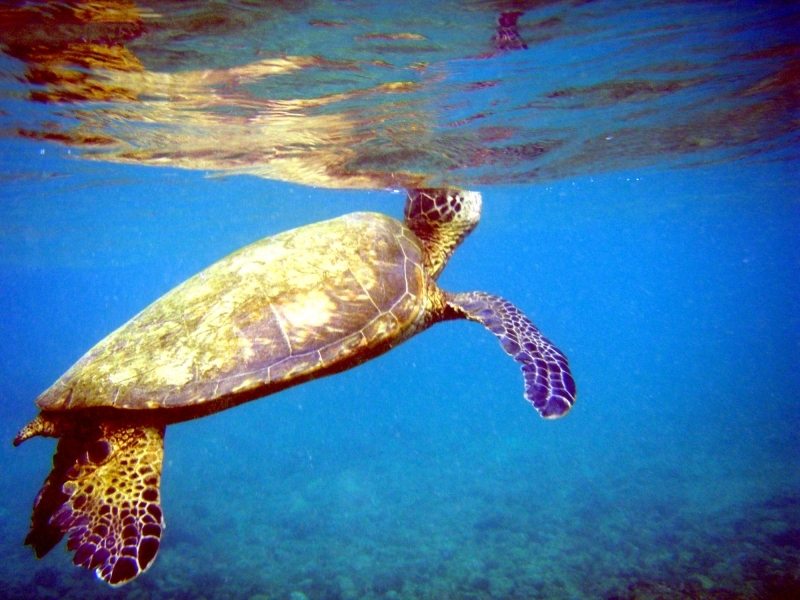 The Flatback Sea Turtle has the smallest geographic range of the 7 sea turtle species. 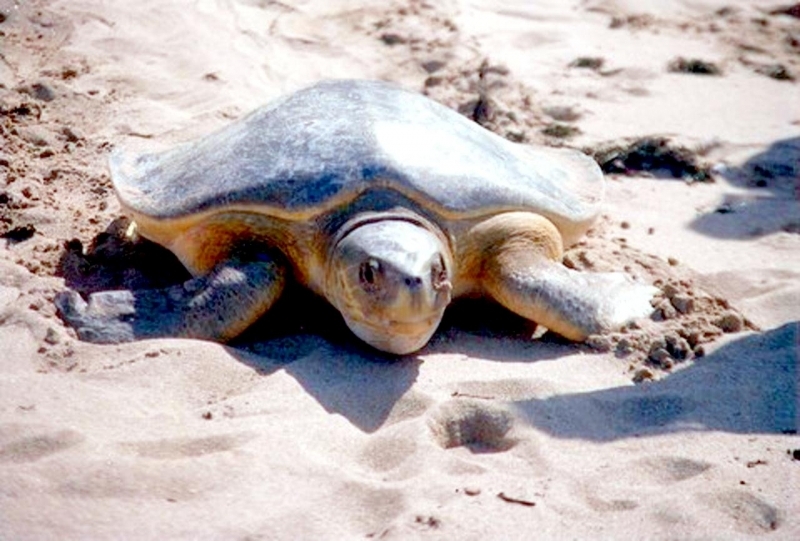 Their distribution is restricted to tropical regions of the continental shelf and coastal waters of Northern Australia, Southern Indonesia and Southern Papua New Guinea. 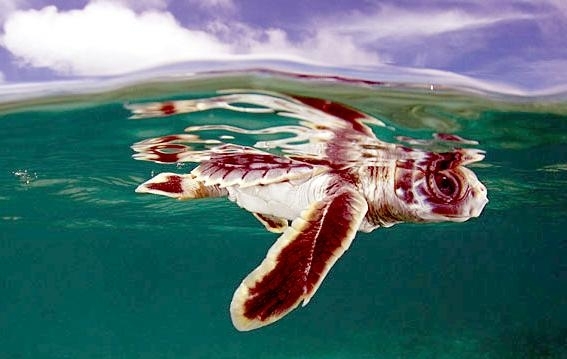 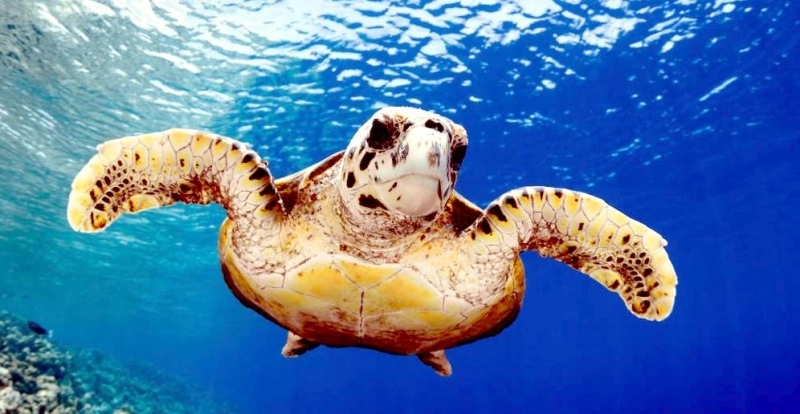 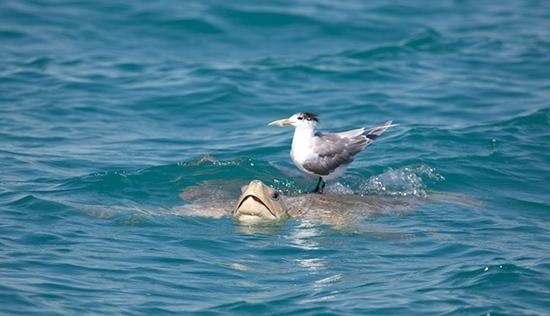 They do not have an oceanic phase or undertake long, open ocean migrations like other sea turtles and are usually found in waters less than 200 feet in depth. 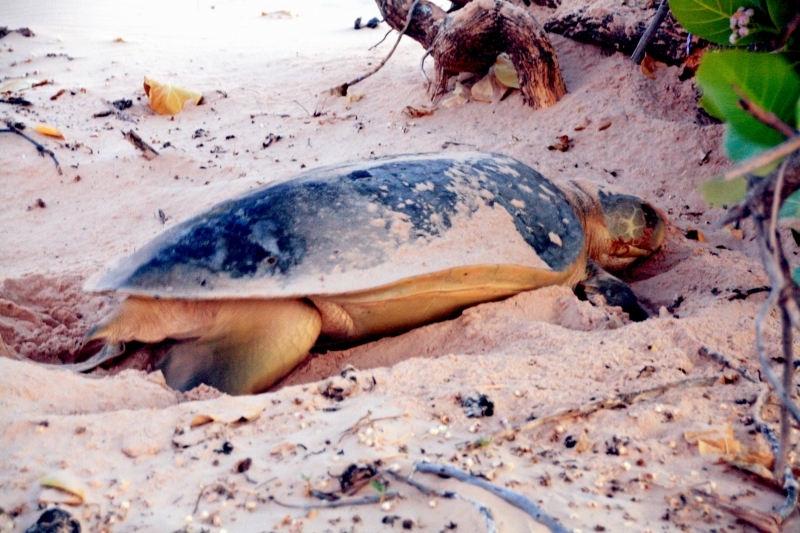 Breeding & nesting only occur in Australia with the largest concentration of females nesting on Crab Island in the Gulf of Carpentaria in Queensland. 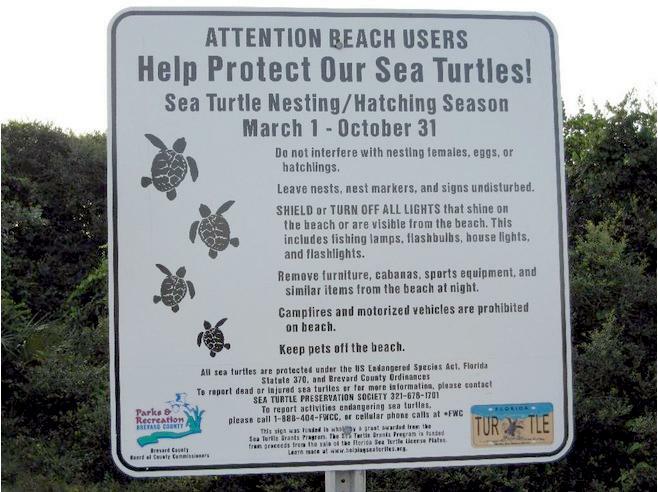 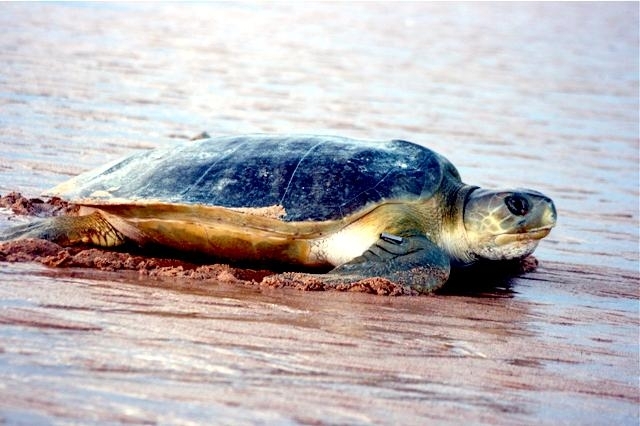 Primary nesting beaches are distributed from East to West across Queensland, the Northern Territory and Western Australia. 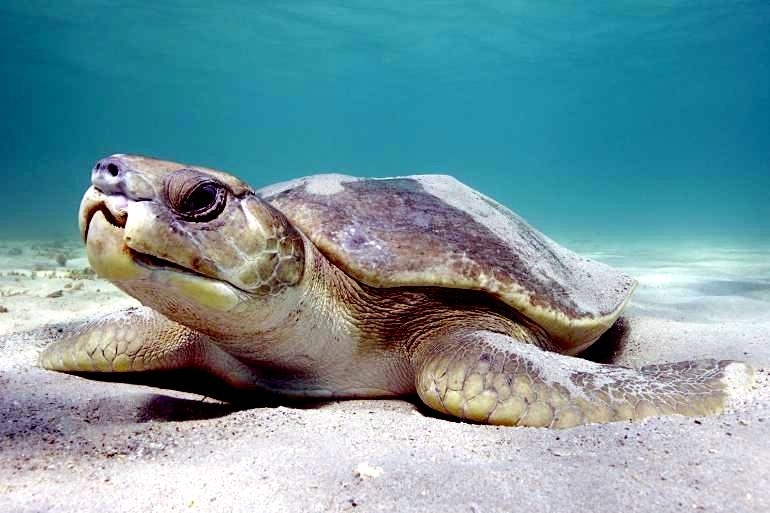 Threats to this species include direct harvest for meat & eggs, incidental capture in fishing gear, destruction of nesting beaches from coastal development, pollution & destruction of feeding habitat (coral reefs and shallow near-shore areas). 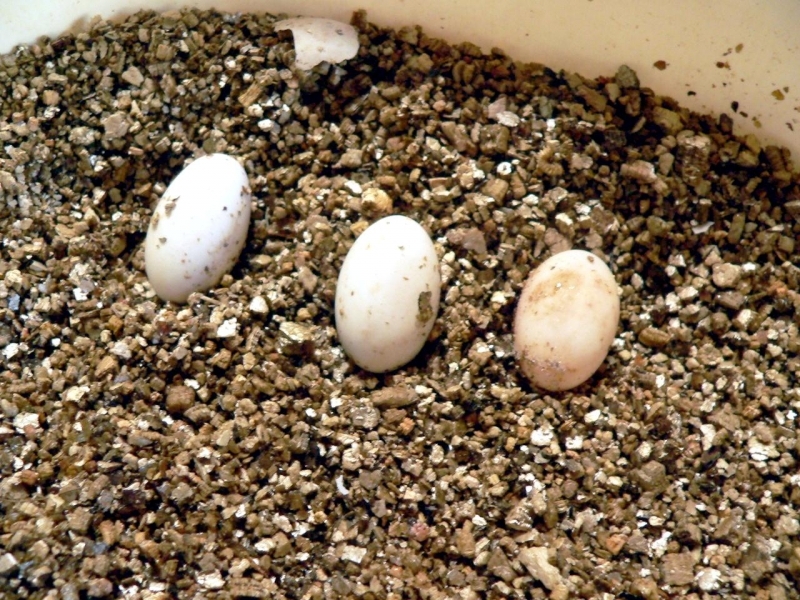 Dingos and foxes once posed a significant threat to their nests but thanks to predator control programs, this threat has been greatly reduced. 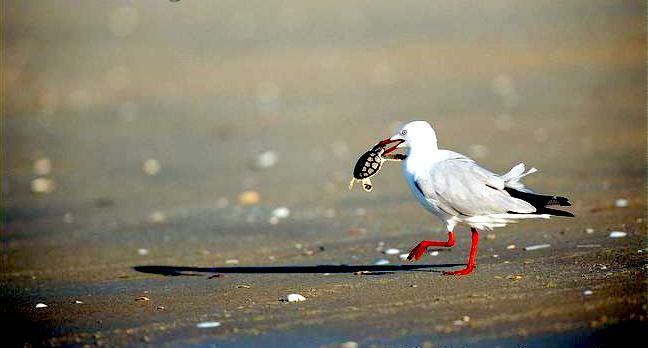 Nests & hatchlings however are preyed upon by the Sand Monitor Lizard, birds including Night Herons, Pelicans and feral pigs who in some areas, consume almost all their nests. 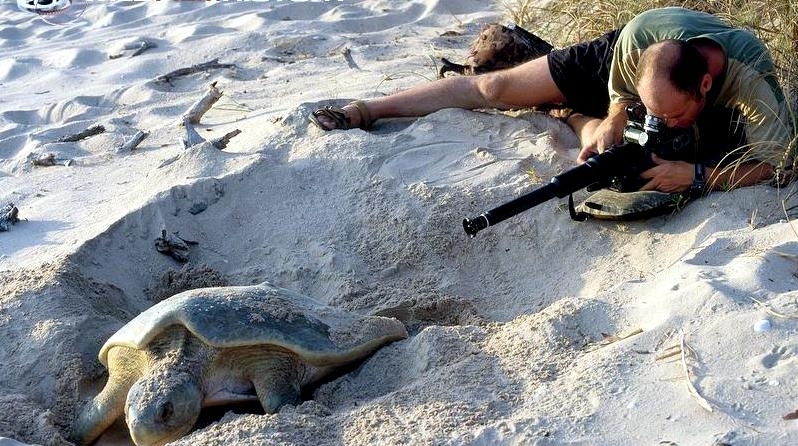 They are listed as Vulnerable under the Australian Commonwealth’s Endangered Species Protection Act.